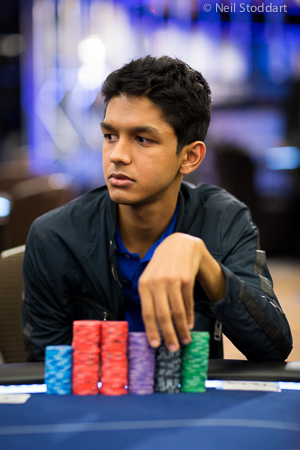 Day 1A of the European Poker Tour London £5,250 Main Event has concluded, and Dhru Patel eliminated a string of high profile players to take the chip lead with 241,000 chips. 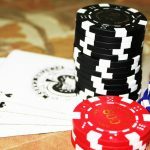 It’s the name of Dhru Patel that illuminates the neon signs of most poker news outlets today, as the youngster took his pride of place at the top of the chip counts with 214,000, after eight levels of action at the Grand Connaught Rooms in London’s Covent Garden. The Day 1A attendance figures were down for the third consecutive year as 236 players trailed in the wake of the 280 that entered last year, and the 339 that entered the year before. The attendance will shoot up when the Day1B field hits the felt, but there is still a huge difference in interest between London and Barcelona where 518 players entered Day 1A when this saga began last month. Dhru Patel made his way to the summit after eliminating the likes of Leo Margets, Erik Seidel and Ben Martin. 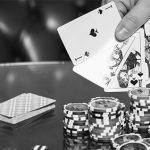 Margets was the first to go when she went broke holding pocket kings on a flop of [Jc] [7c] [2c], when Patel was holding a set of sevens; Seidel was next to go when he made a move on a Jack high flop holding a wheel draw, only to get picked off by Patel’s king-jack, and in one of the final hands of the night Patel eliminated Ben Martin: QQ v AQ. 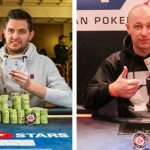 Some big names fell by the wayside and they included the reigning PartyPoker Premier League champion Dan Shak who ran his ace-king into the pocket aces of Mario Chiang Guanilo, and Viktor Blom who lost his all-important race against the flush draw of Dan Smith. The former Global Poker Index (GPI) Player of the Year catching his river card to pip the top pair of the Swede to the post. 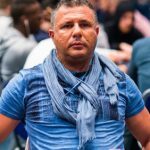 Sorel Mizzi, Fabrice Soulier and Johnny Lodden three more stars of the game to lose their flare on Day 1A. Joining Patel at the top of the chip counts at the end of play was the IveyPoker Pro Matt Frankland with 104,200, Dan Smith with 103,800, Former EPT Champion Michael Tureniec 81,500, WPT Champion & WSOP bracelet holder Theo Jorgensen 73k, Triple Crown winner Jake Cody 65k, GPI World No.3 Mike Watson 55.1k and the talented Shawn Buchanan with 44k. The fearsome Vanessa Selbst continues her current run of form with victory over the British pro Max Silver in the £2k side event. 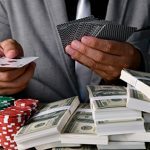 Selbst, who recently finished runner-up in the World Poker Tour (WPT) Borgata Open for $492,569, took £67,499 for the victory to take her 2013 live tournament earnings to over the $2.3m mark.